A mother's bundle of joy is about to arrive. An inquisitive child with his expectant mother. Little sis? Are you in there? I can hear you! 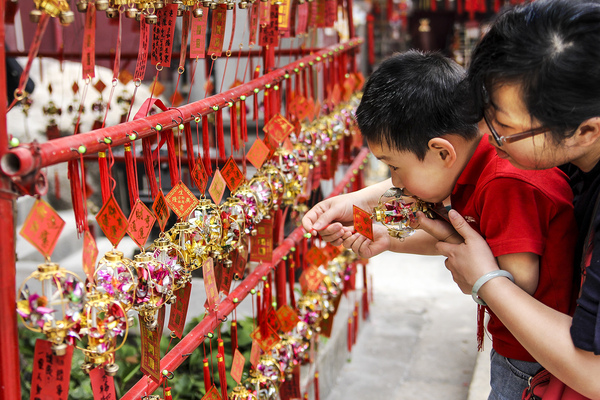 A child makes a wish at a temple in Macau. 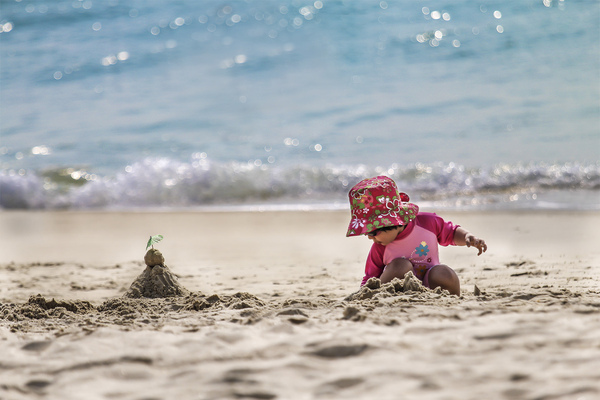 A little girl's dreams are only as big as her castle.